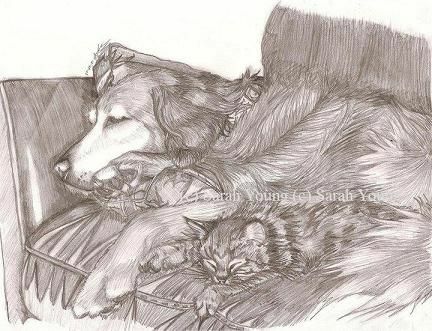 I have been completing animal/ pet portraits for years with high-quality pencils and/or ink. I use kimberly pencils, micron pens, mechanical pencils, and Strathmore or canvas paper. I also have Prismacolor pencils and Copic markers for additional use on these portraits. I love trying to capture the personality of a pet and hope to aid in creating a moving memory of your special pet or favorite animal!